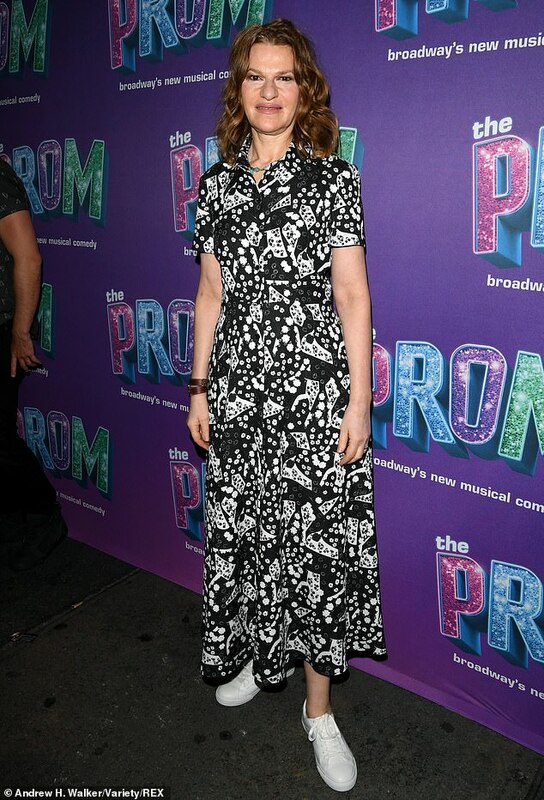 The stars showed up for a special performance of Broadway musical The Prom on Tuesday. Glenn Close and Sandra Bernhard led the way on the red carpet for the event, which was hosted by Glee creator Ryan Murphy. Seven-time Oscar nominee Close kept it classy in all-black for the A-list appearance. The star of The Wife wore a black boat over a dark blouse for her red carpet turn. Meanwhile, Roseanne actress Bernhard was magical in monochrome, dazzling in a black and white patterned dress. The 65-year-old Michigan born star kept her footwear casual in a pair of white tennis shoes. Also taking to the red carpet were The Unbreakable Kimmy Schmidt star Jane Krakowski, Pose actor Billy Porter and American Crime Story writer Murphy. The event benefited the Hetrick-Martin Institute, GLAAD and The Trevor Project. The Prom is billed as a musical comedy ‘about an Indiana high schooler barred from bringing her girlfriend to the prom and the group of eccentric Broadway folk who infiltrate the town in an earnest, misguided attempt to fight the injustice’ according to Playbill.com.